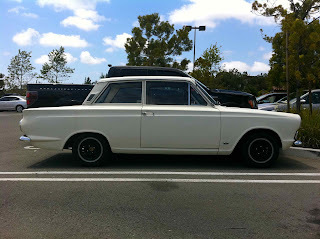 Another cool import found in San Diego County - this time an English Ford. A sharp little Cortina Mark I. 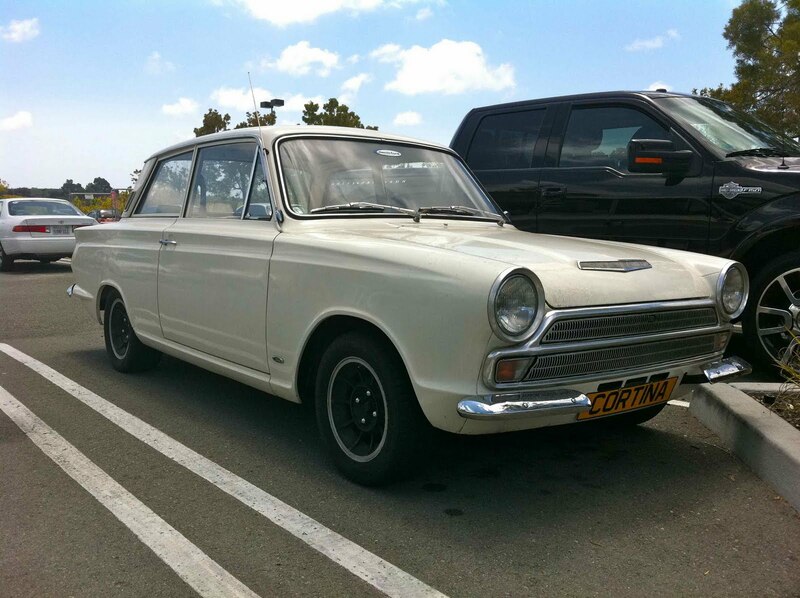 Definitely one of my favorite Fords of the sixties, and quite uncommon on this side of the pond, especially the Lotus Cortina models. I've seen a ratty Mark II Lotus Cortina buzzing around Carlsbad a couple of times, but haven't been able to grab any photos yet. 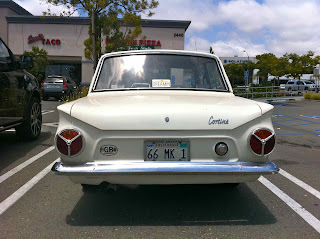 The cool and distinctive round taillights predate the similar BMW 2002s by a few years. And, assuming the plate is correct, this one is from the last year of the Mark I version of the model. 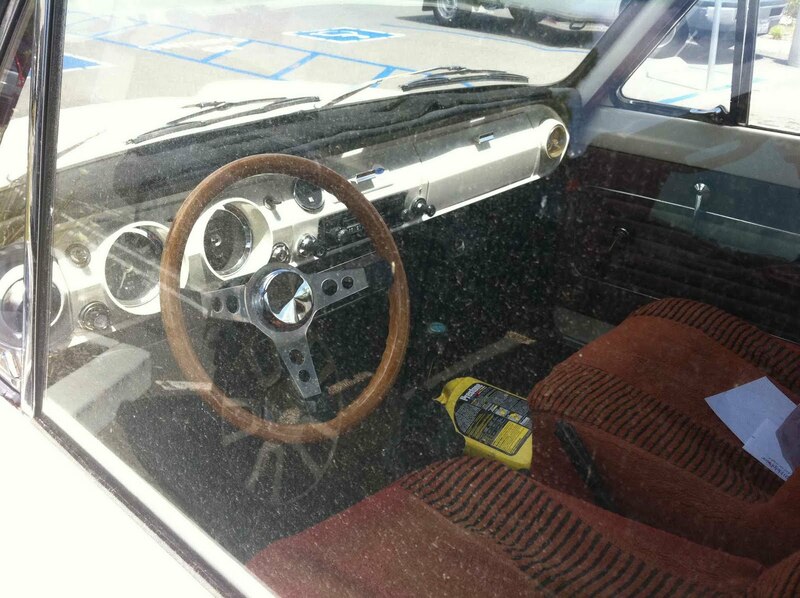 Needs a nice, thin Momo Prototipo wheel and, likely, some fresh vinyl on the seats. 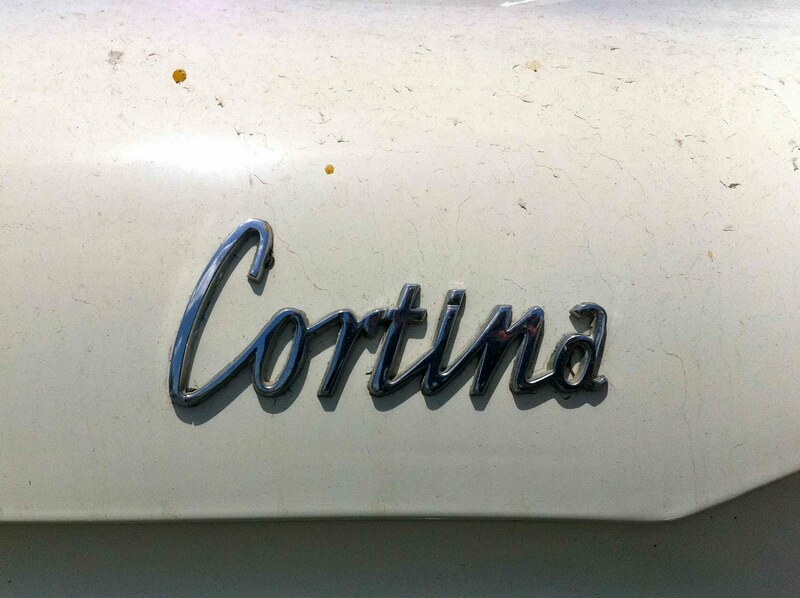 Incidentally, the Cortina was found in the same lot as this white 60s Jaguar sedan. I'd happily add both to the fleet.